Good morning, Scouts! 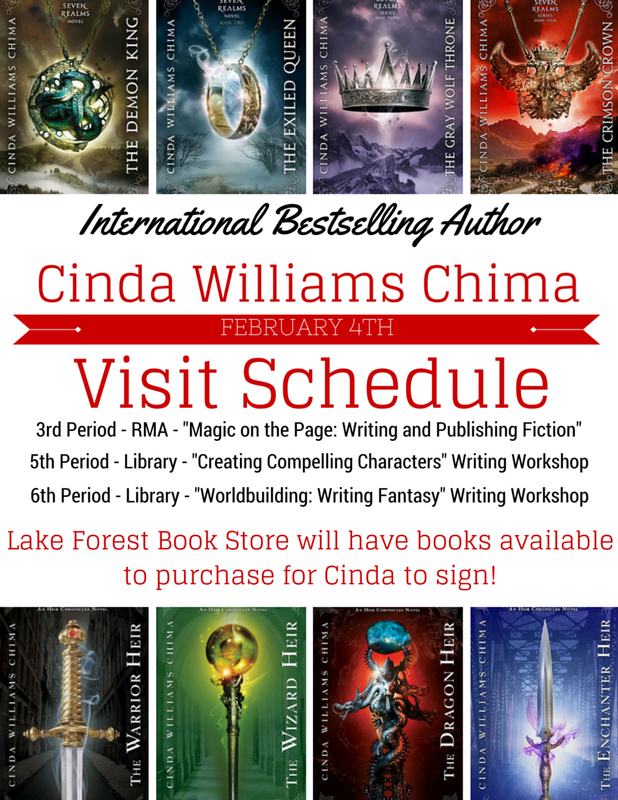 Cinda Williams Chima’s visit is closing in fast! We’re excited to announce her schedule for the day. If you need to be excused from class to attend any of the events, come pick up a field trip form at the library circulation desk! We’re also selling copies of Cinda’s books for those students who want to get them signed.